The DRL light bar in the 6th gen’s headlights are a prominent feature of the Camaro’s front end styling. 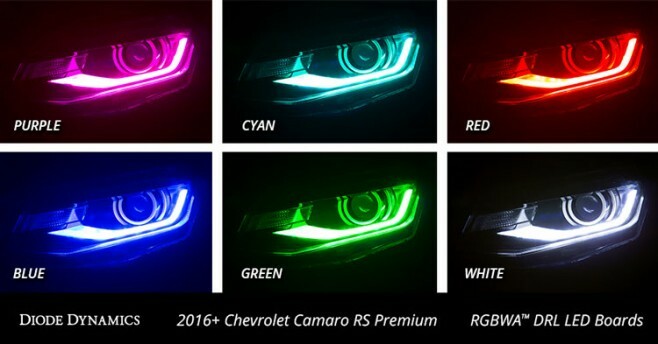 As with the 5th gen DRL rings, we are now seeing aftermarket options for switchable color DRL to better match (or clash if you prefer) your Camaro’s exterior color. Camaro6 sponsors AACstyle and Diode Dynamics are now both offering up their solutions to customizing your LED lights.